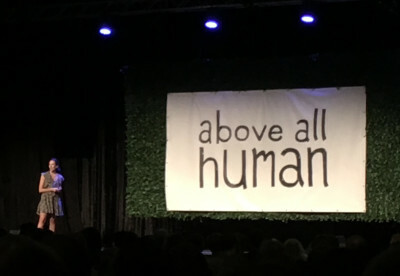 Last Friday a handful of SitePointers and I attended an interesting new conference called 'Above All Human – 2016' – now in its second year. 'AAH' is a conference that focuses on the intersection between humans and tech and so covers varied topics from medi-tech to astrophysics to game design theory. Anil Dash, Mike Monteiro and Katie Mack were among the speakers. But I’d have to say my favorite talk was delivered by Ali Rayl. Ali is the Director of Customer Experience at Slack and she told a fascinating Slack origin story. If you're unfamiliar with Slack, it's a workplace communication app, combining IM, email and Dropbox into a unified collaboration tool. Although Slack doesn't really do anything ground-breakingly new, somehow their mix of functionality and UX has really struck a chord with user and the app has taken off like wildfire over the last three years. In fact, users all over the world have taken to organizing 'Slack Channels' around their own topics – from CSS to Star Wars to cognitive science. There’s a distinctively ‘Reddit-like’ self-organizing community feel to it. When users want to use your work tool in their spare time, you know you've got something. Over the years many companies have tried to build 'business communication tools'. Big companies like Microsoft, Lotus, and SalesForce with pockets that go down to their shoes too. But none of them had managed to get wide-scale buy-in. While lots of people know about Slack, fewer people know that the company behind it – then called Tiny Speck – was actually a failed game company. 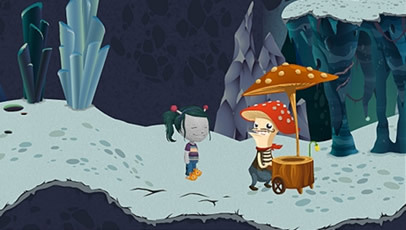 Ali was part of the team that built and released a game called 'Glitch' back in 2009. There was no specific 'end-goal' or destination – it was designed to be a game-space that users could play in endlessly. It had recognizable elements from both Minecraft and Farmville. Unfortunately, it didn’t quite work. Though Glitch was relatively successful in engaging an audience, they picked the wrong development platform – Adobe Flash. As more users spent their time on iPhone and Android, interest in flash-based gaming plummeted. Glitch closed in 2012. But that wasn't the end for Tiny Speck. When they decided to build a communication tool, they began at a very different starting position to a traditional business software company like Microsoft. Working on Glitch, they'd learned how to take boring, time-consuming game tasks – like breaking rocks – and make them into a fun activity. As keeping people in the game was central to their success, they put incredible amounts of work into making every interaction interesting, fun and irreverent. The actual 'work' performed by the Glitch user had no inherent value – but the process had to be entertaining enough kept them engaged. The question was: Could you take that approach with real business work? Slack was the experiment to find out. From the start, they avoided all the standard hallmarks of business software. The name was a little bit edgy and the logo and color scheme were bright, cheerful and a little bit goofy. 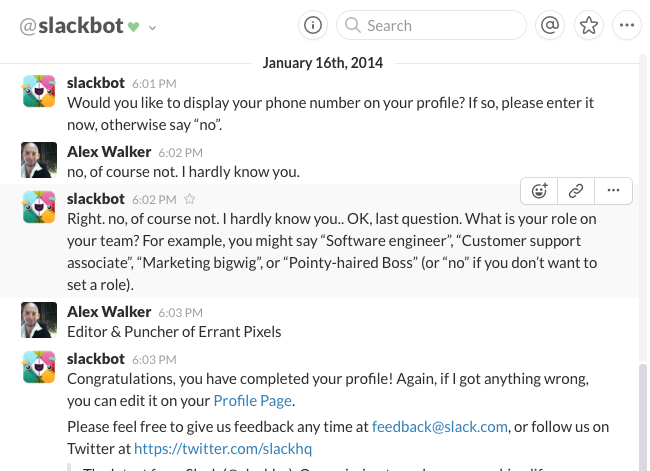 There was a cheeky ‘Slackbot’ to welcome you and endless folders of cheery emoticons. Effortless searching and posting of GIFs turned everyone into a comedian. Soon people were customizing, hacking and bending Slack to their will. First and foremost, this was a cool place for people to hang and chat and laugh. And since they were already there, people started getting actual work done too. Swapping files, discussing ideas, setting agendas. Why not, right? 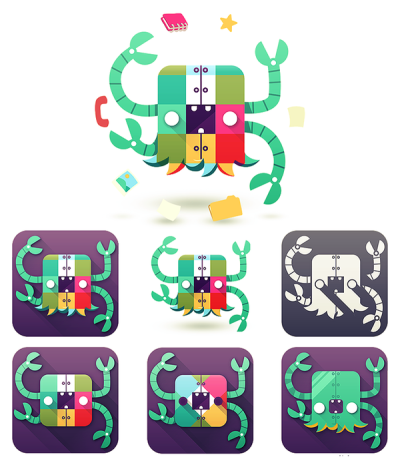 Suddenly you had people doing business stuff in a business app – almost by stealth. It’s interesting to compare this approach to safer, more conventional business app designs. Most business applications are ‘document-centric’. When Microsoft created MS Word, they were building a 'home for Word documents' to live. Of course, people use Word, but the documents are really the ‘stars’ of Word. Likewise, Excel is a home for spreadsheets and Outlook is a home for emails. So, it's not too surprising that Microsoft Sharepoint would be primarily designed as 'a home for files and conversations'. Taking this approach, people are almost treated as 'attachments to conversations'. Like a tidy suburban train station, people might pass through SharePoint, but they would never dream of socializing there. People pass through and get out. And that is fatal to the art of conversation. I'm unfairly using Microsoft as the comparison here, but none of their competitors did any better. 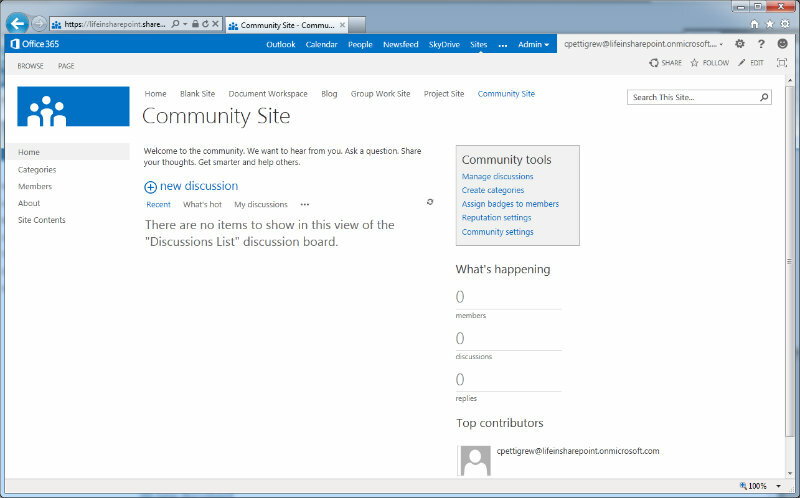 SharePoint is a perfectly competent piece of software but I can’t remember anyone talk of their love for it. On the other hand, I hear people declaring their love of Slack all the time. In software design, that's an achievement. It's nice to know that the DNA of Glitch inspires that love. Funnily enough, a dedicated group of Glitch users has been campaigning for its return for years. Last year the Slack team open-sourced the 10,000+ artwork files behind Glitch and a grassroots team of volunteers is working to return Glitch to the internet. Clearly, love: It's a Glitch (I had to get one more pun in).